Barely ten weeks before what is billed to be Botswana's most contested election, Botswana Movement for Democracy (BMD) President Gomolemo Motswaledi has been killed in what is reported to be a dubious car accident by sources close to opposition parties. Motswaledi, who just five days ago was elected the deputy president of the opposition coalition for the October elections Umbrella for Democratic Change (UDC) died this morning in a road accident in which details are extremely closed off by the police and state organs. In an attempt to get details from senior members of the BMD members of the press have continuously been told that no concrete information is yet available on the circumstances around the accident hours after the accident occurred. 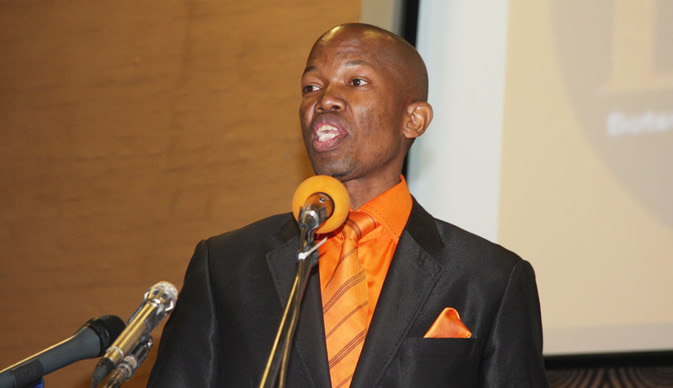 Motswaledi was unanimously elected UDC President Duma Boko's running mate in the elections pencilled for October this year. Being the running mate of the most powerful opposition movement, Motswaledi would have assumed the position of vice president is the opposition would go on and win the elections. The UDC is a merger of three opposition parties BNF, BMD and BPP and is certainly posed to cause a major upset in the upcoming elections. Details of the accident will be made available as soon as they are released.